The All of Us Journey visits Oklahoma City, Oklahoma (OKC) from Tuesday, Feb. 5 through Friday, Feb. 8. 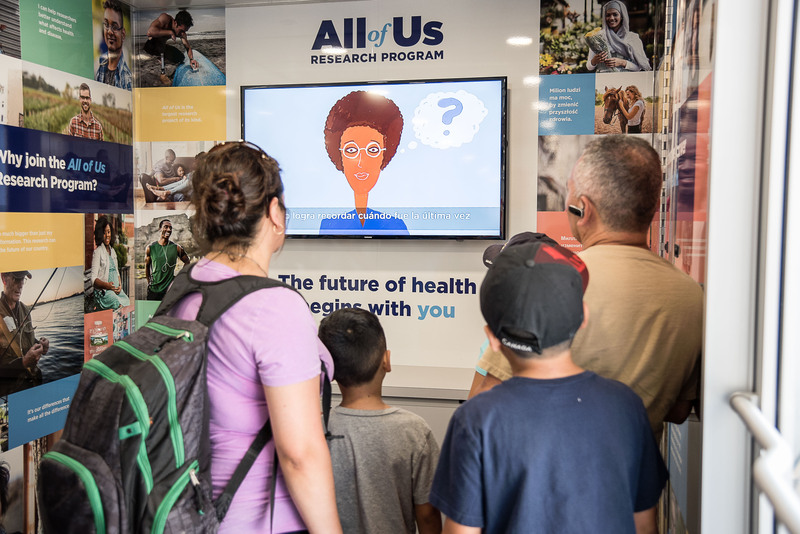 Join us and the National Baptist Convention, USA (NBCUSA) to learn more about the All of Us Research Program. Visitors will also have the opportunity to enroll in this landmark research program while on site. – Tue. 2/5 – 11 a.m. to 5 p.m.
– Wed. 2/6 – 11 a.m. to 5 p.m.
– Thurs. 2/7 – 11 a.m. to 6 p.m.
– Fri. 2/8 – 11 a.m. to 6 p.m.